Stroke, heart disease, and peripheral vascular conditions are all caused by formation of atheroma, or plaque, leading to arteriosclerosis. But plaque formation is the result of chronic inflammation and genetic predispositions. Most conventional treatments; however, are only band-aid relief. Identifying genetic polymorphisms and implementing changes to reduce oxidative stress can effectively reduce and even reverse arteriosclerosis. 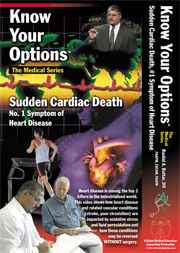 In this video, the treatments and lifestyle modifications necessary for success will be discussed not only to treat, but to prevent heart disease.